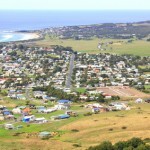 Apollo Bay. Located in the foothills of the Otway Ranges just before the Great Ocean Road traverses Cape Otway, it makes an ideal setting to get out of the car and explore the beautiful scenery you have admired from a distance. In Apollo Bay, you are surrounded by nature at its best. Spread out before you is the rugged Victorian coastline, but in Apollo Bay, the waves are gentler and the wide sandy beach gives you the opportunity get into the sea, not just look at it. Behind you is an endless expanse of verdant hills just waiting to be explored. After you have found a place to stay and had a chance to rest up, you will be ready to get out and explore the scenic coastline on foot. One of the best ways to do this, if you’re up to it, is by tackling all or part of the Great Ocean Walk. Many visitors come to Apollo Bay for the expressed purpose of doing the entire 65 mile (100+ kilometre) walk all the way around Cape Otway to the Twelve Apostles. If that’s not your cup of tea, you can choose to take just a portion of the walk – as much or as little as you like. When you go to Cape Otway, make it a point to visit the Cape Otway Light Station. From this historic lighthouse perched on the top of the cliffs, you get a breathtaking view of Bass Strait and the Victorian coastline. By prior arrangement, you can even stay at the four bedroom Lighthouse Keepers cottage! Cape Otway is so well known, you may not realize just how many other scenic areas there are around Apollo Bay. Barham River Road follows the Barham River upriver through the verdant rain forested Barham Valley to beautiful Marriners Falls. On the other side of the Barham River is the small coastal village of Marengo. 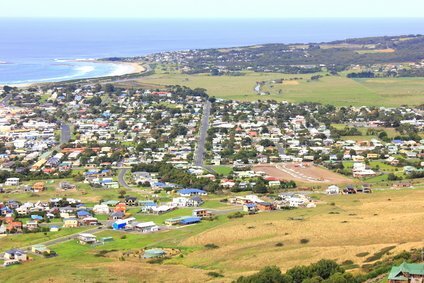 Then there’s Skenes Creek, another delightful village just up the coast on the Great Ocean Road and Evans Lookout, just a mile or so inland from Skenes Creek. Too many travellers just stop in Apollo Bay for a meal and a quick stroll around the town before continuing on their journey. This is a big mistake, as you will discover when you take the time to find an Apollo Bay accommodation and settle in for a few days. Accommodations range from spectacular camp sites and inexpensive backpacker resorts all the way up to luxurious self-contained villas. Give Apollo Bay a try and you will find that it will be the highlight of your Great Ocean Road adventure. This entry was posted in The Great Ocean Road Information and tagged apollo bay, accommodation in Apollo Bay, great ocean road, the great ocean road, Apostle (Christian), Great Ocean Walk, Evans Lookout, Bass Strait, Great Otway National Park, Cape Otway by Holiday Great Ocean Road. Bookmark the permalink.